I love Edinburgh. I love Edinburgh so much that I will boldly say that it was my favourite place I visited in all of the UK, even more so than the much loved London. There I said it. As soon as I walked out of the bus station and saw the insanely beautiful architecture and parks I immediately understood why my sun-loving, Australian cousin has been calling Edinburgh home for the last seven years. Australians especially struggle with grey skies and rainy days, it depresses us instantly, and with Scotland being known as one of the grayest, wettest countries in the world I didn’t understand until that second how my cousin not only survived but thrived in this city. 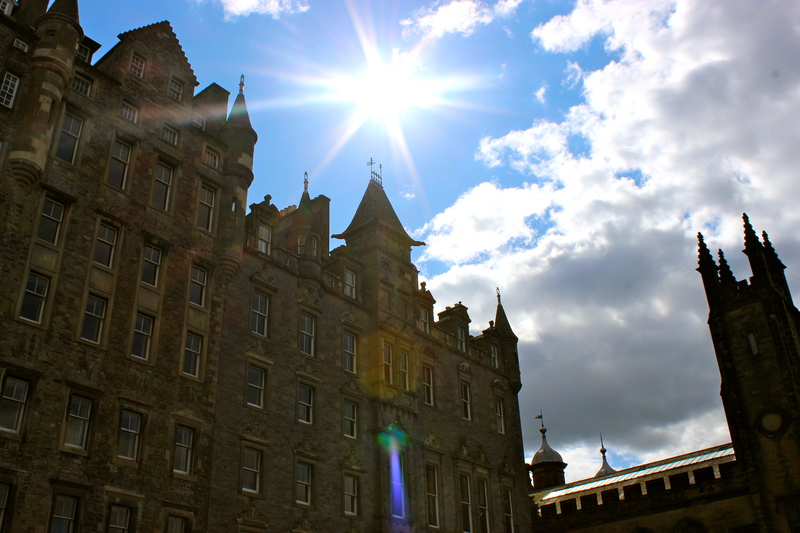 We were so lucky to have beautiful, sunny weather whilst in Scotland! We caught the bus from Newcastle to Edinburgh, which took only a few hours. It was a windy, stomach churning ride at times but also one of the most beautiful drives I’ve ever experienced. The bus drove through the most beautiful fields, with rolling hills and colourful flowers every where you looked. I wish I was able to take some photos from this journey but alas I got stuck with an aisle seat next to a woman who was so busy taking photos of the view herself that their was little window space left for me. If I ever have the chance to visit again I’ll take my own car so I can stop and take photos to my heart’s content. 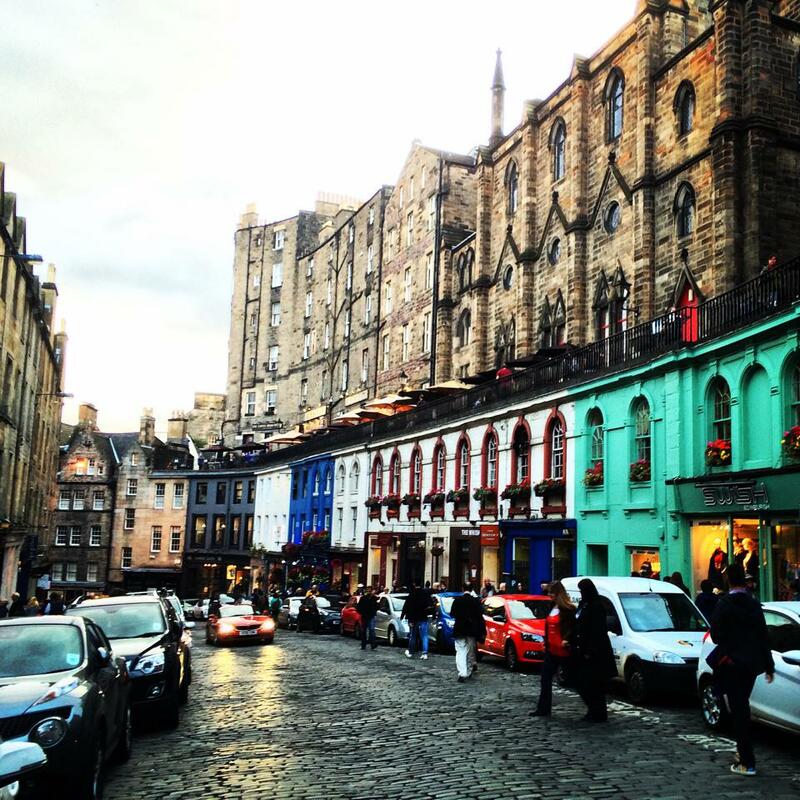 The Royal Mile is beautiful! 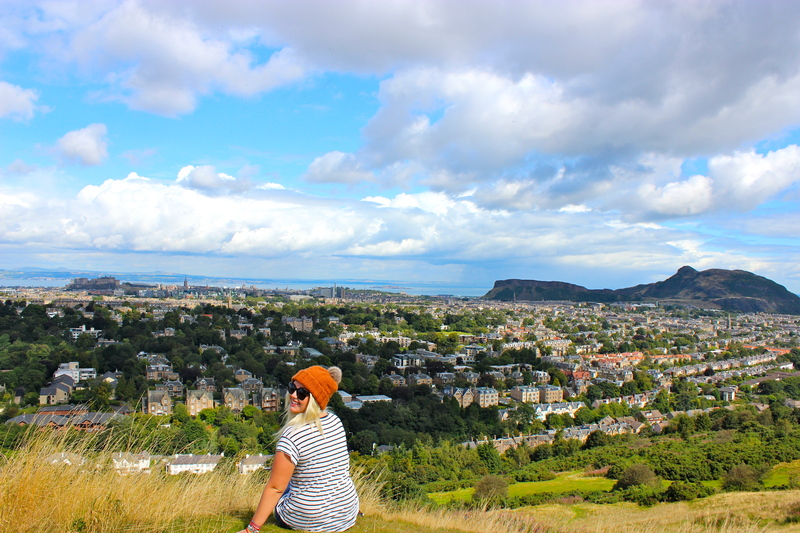 I would have liked to have more time not only in Edinburgh but in Scotland, but I really wanted to visit during the infamous Fringe Festival, and so I had to squish it all in less than a week in between other set itineraries. 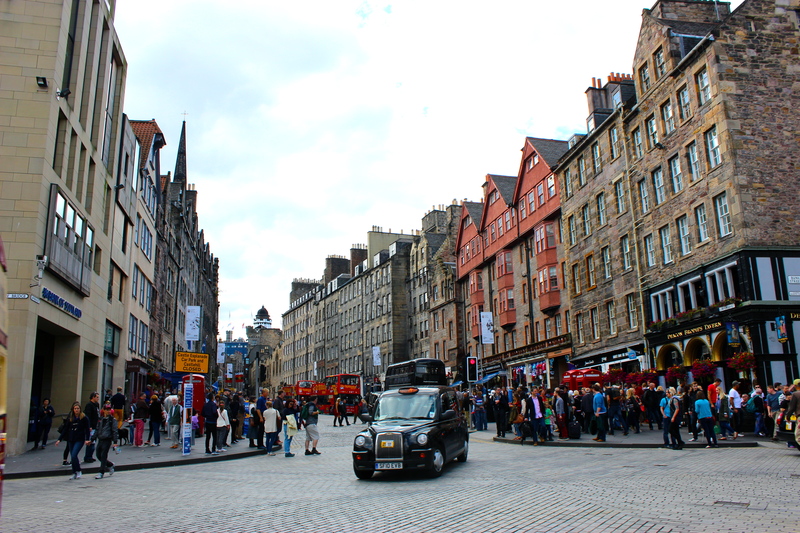 The Edinburgh Fringe Festival is one of the largest art festivals in the world. Their are thousands of acts on all day and all night over the three week long festival each August. Their are comedians, musicians, dancers, musicals, theatre, artists – you name it they have it, and their are so many acts that the festival directory is as big as my local yellow pages book. Because their is something to see at all hours over the course of the three weeks the streets are teaming with life and excitement no matter where you are or what time you are wandering around the city. There is just such an incredible energy about that it’s almost contagious. During my four days in the city I was lucky enough to watch three hilarious comedy shows all of which were free, and ‘Shout! the Mod Musical’ which was excitingly produced by my friend Max that I worked with in the USA a few years ago. Isn’t it amazing that you can be on the other side of the world at the biggest arts festival in the world and still know someone performing? It’s one of the best things about being apart of the traveling community, you know someone no matter where you are in the world. It makes the world that much smaller! Needless to say the musical was absolutely amazing and I was so glad I was able to be there and support my friend. If you ever have the opportunity to visit Scotland in August, absolutely make sure that you go to Edinburgh during Fringe. The Royal Edinburgh Military Tattoo was also on during that time, which I wish I knew earlier before the tickets sold out, as I’ve heard it’s amazing and something I would have loved to experience. 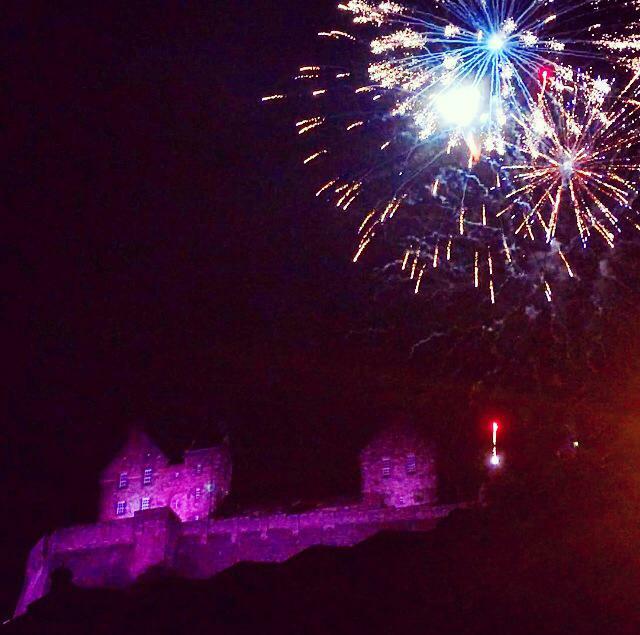 We were staying with my cousin and his Scottish wife who were amazing hosts and showed us some awesome sights. They took us to Blackford Hill, which is a twenty-minute drive out of the city. You take a short walk up the hill and it rewards you with the most incredible views over Edinburgh. From there you can get a 180 degree view of the city, the castle, the sea and the incredible Arthur’s Seat mountain surrounding it all. Such a beautiful spot and one I highly recommend doing yourself. Feel like a lengthier walk? Check out this fantastic guide for the picturesque Walk of Leith and more awesome Edinburgh inspiration. 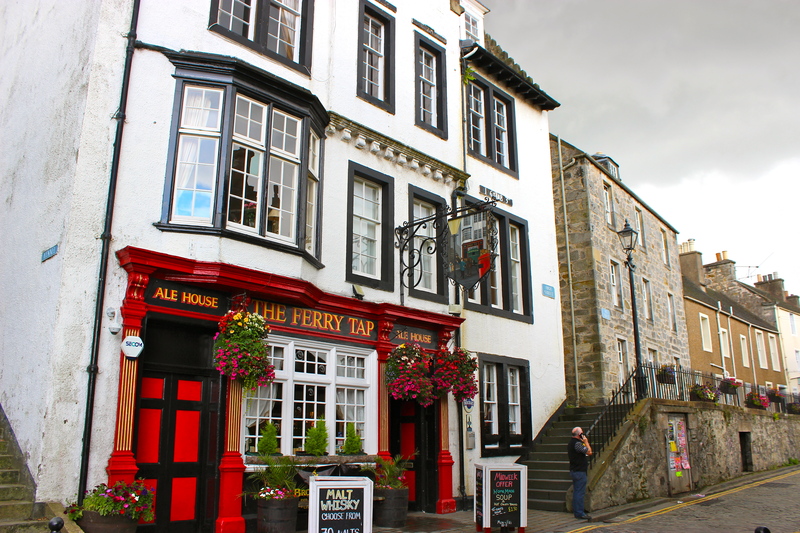 We also visited South Queensferry, a quaint little town to the west of Edinburgh. The main street is filled with cute little pubs and stores. They also have a bridge, that looks really similar to the Golden Gate Bridge. We ate lunch at a beautiful restaurant with water views called ‘Antico’. It was a little pricey (and by pricey I mean £15, so it depends on your personal budget what you find pricey), but was absolutely delicious. All the meals were large portions so served as our dinner as well. Out of the three assorted meals our table ordered I’d recommend the Haddock Fish & Chips, it looked delicious! If you are a huge, die-hard Harry Potter fan like I am then you must visit the Elephant House Cafe, where J.K Rowling sat and wrote the first book, Harry Potter and the Philosophers Stone. There’s quite a line to go inside but it’s totally worth it. The hot chocolate and Malteser caramel slice are my top recommendations, though if you are wanting a meal the Lasagna looked really delish also. 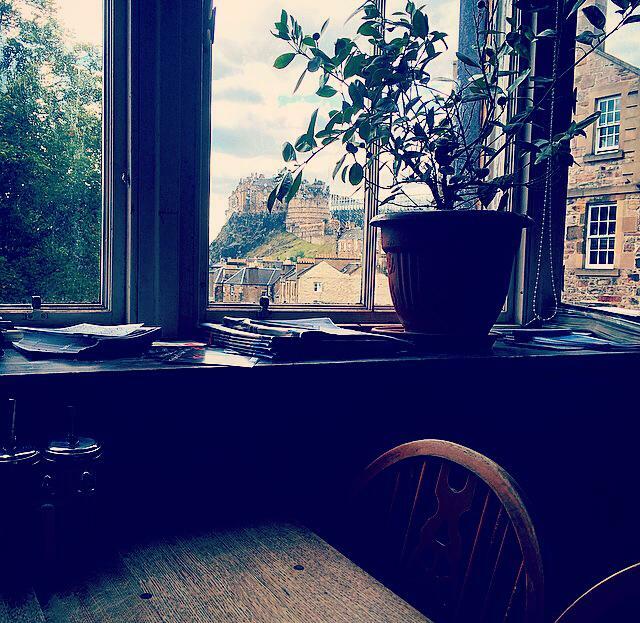 It was so special to be there, sitting looking out through the window at Edinburgh Castle and imaging J.K Rowling sitting there writing the best books in the world and drawing inspiration from the city below. Even if you don’t need to go to the toilet be sure to check out the bathrooms. The walls are so covered in Harry Potter graffiti that it’s almost scary. The boys apparently have funnier content whilst the girls write declarations of admiration and gratitude to J.K Rowling herself. My favourite parts of Edinburgh to walk around and get lost admiring the streets and city were The Royal Mile and The Grass Markets. So picturesque! 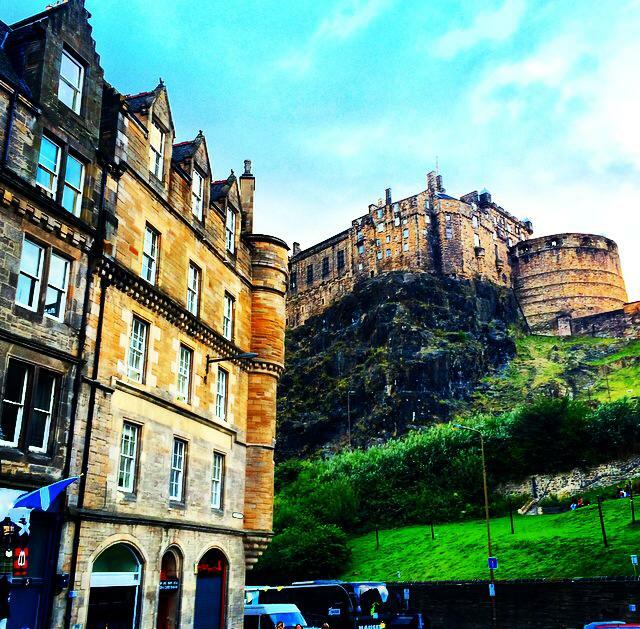 You can see the Edinburgh Castle almost from every street in the city! With its beautiful architecture, small population, cheaper prices and a contagious energy about Edinburgh it’s hard not to fall in love with this amazing city. Where else should I check out next time? I love the view from Arthur’s seat, and a good walk from the Royal Mile weather permiting.